Sometimes, the best way to explore a city is to just take off all on your own where you have plenty of time to see the things you want to see, have fun on your own time and get a good view of what the world around you can offer. When in Santa Cruz, you will find a plethora of things a person can do all on their own. Whether you like swimming, hiking, shopping or dining, you can have it all in Santa Cruz. To make it easier for you, here are the top five things you may find of interest when you have time to spend roaming around town on your own. If you can swim, you can surf. 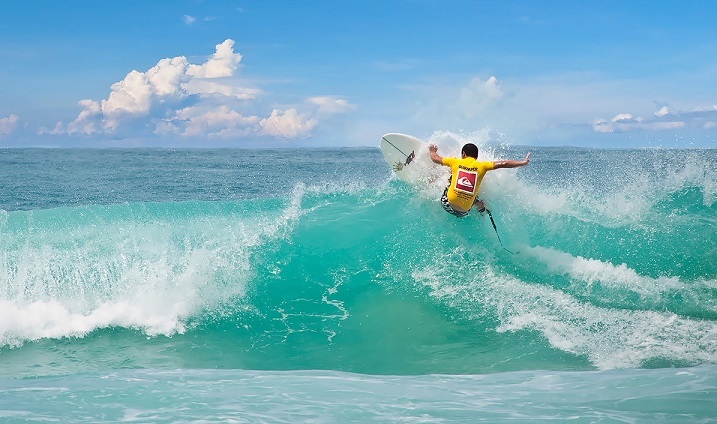 Even if you are a little shy on the board at first, or you just paddle out and float back in on a wave, you will find that being on the water has a calming effect and is truly a great way to spend your free time while at the beach. If you don’t surf yourself, maybe sitting back and watching the other surfers will be of interest to you. Santa Cruz is well-known as the best surfing spot in the nation, and if you don’t already know how to surf, there are plenty of great locals who will be more than happy to give you a few tips to get you up on the board. Cowell Beach is a great beach for those who are new to surfing as the waves are a bit docile but the area has a friendly vibe and meeting new people is going to be easy to do. 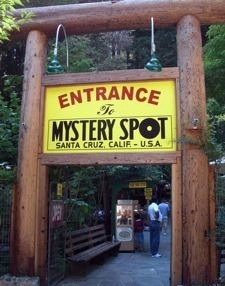 The Mystery Spot is truly a magical spot to visit and one that you will long remember. It is an area that spans approximately 150 feet and completely defies the laws of physics. Gravity is something that you cannot take for granted at this popular spot and some of the locals may tell you that there is an alien ship buried somewhere beneath the ground. You can take a 45-minute guided tour of the area and if you enjoy nature, you can take off on your own for a refreshing nature hike into the woods where you can catch a great view from atop a steep hill, see wildlife and beautiful flowers and eucalyptus trees all around and spend some serene time getting back to nature. Glaum Egg Ranch, located in Aptos, is an organic, cage free farm where you can purchase eggs from a vending machine. Where else in this country can you pop a few bucks into a machine and get a dozen fresh eggs? While the eggs are being send down the chute, you’ll be able to listen to a silly chicken song and watch an animated chicken dance. While it may sound silly, it is entertaining to watch. Even better, you can take your eggs with you and have a great breakfast once you get home. This farm has been around since the 1920’s and is a favorite for locals as well as visitors in Santa Cruz. Hiking is such a peaceful thing to do and in Santa Cruz, you will find a wealth of trails where you can get back to nature and enjoy the wilderness. Big Basin State Park offers a great area for hikers and many tend to enjoy hiking to Berry Creek Falls. You may want to be in decent shape to hike to the falls as this is an 11-mile hike and you will be climbing up some pretty steep trails along the way. If hiking that great a distance is not something you feel up to doing, there are many other great trails within the park that will take you through the woods where you may catch a glimpse of wild rabbits, bobcats and other wildlife as well as some of the most beautiful natural scenes in all of California. 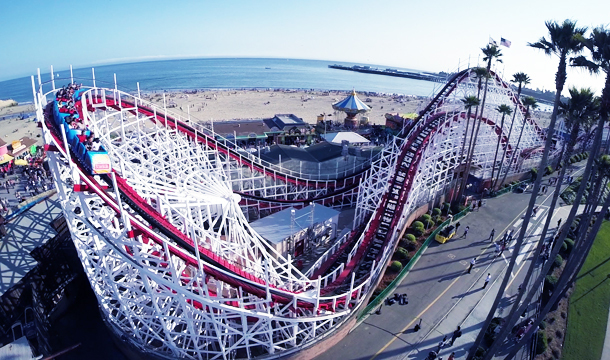 The Giant Dipper is an incredible roller coaster right on the Santa Cruz Boardwalk and it has been one of the most popular attractions since 1924 when it first opened to the public. The coaster travels at 55 mph and is a whopping 70 feet tall. It is one of the largest, and most popular wooden roller coasters not only in the U.S., but in the world. This roller coaster has not only been one that the young and young at heart have enjoyed riding, but it has also been featured in blockbuster movies including The Lost Boys in 1987 and Dangerous Minds in 1995. You can ride it one time, or you can grab a wristband at the ticket booth and get a pass to ride it over and over all day long. You can also spend the day at one of the beaches that line the 29 miles of shoreline or take a wine tasting tour, a fishing trip, whale watch, ride a train or just take some quiet time and sit by the water and watch the sun rise or set. Santa Cruz has something to do day or night and it is the perfect place to venture off on your own to take time to have a little fun all by yourself.